I cannot remember the last time I bought a decent pair of shoes- not those ballet flats and sandals kind- but a pair I can use for work. The black Aldo flats I bought in 2011 has finally given up on me and so I decided it's about time to buy a better pair. My newspaper job didn't really require me to dress up so flats were okay, but the corporate jungle calls for a more polished look. Hence I just had to give in when i saw these shoes at half their original prices yesterday. The brown Aldo pair was just too cute to resist. I originally wanted this in black but it's no longer available in the entire of Taiwan, according to the sales lady. The last piece was my size, so yay the universe says go for it. I practically didn't pay for this because I used the NT$1000 Mitsukoshi gift certificate given to us at work last Chinese New Year. I just added a few hundreds. The black pair on the left is more pricey, but a lot more comfortable. 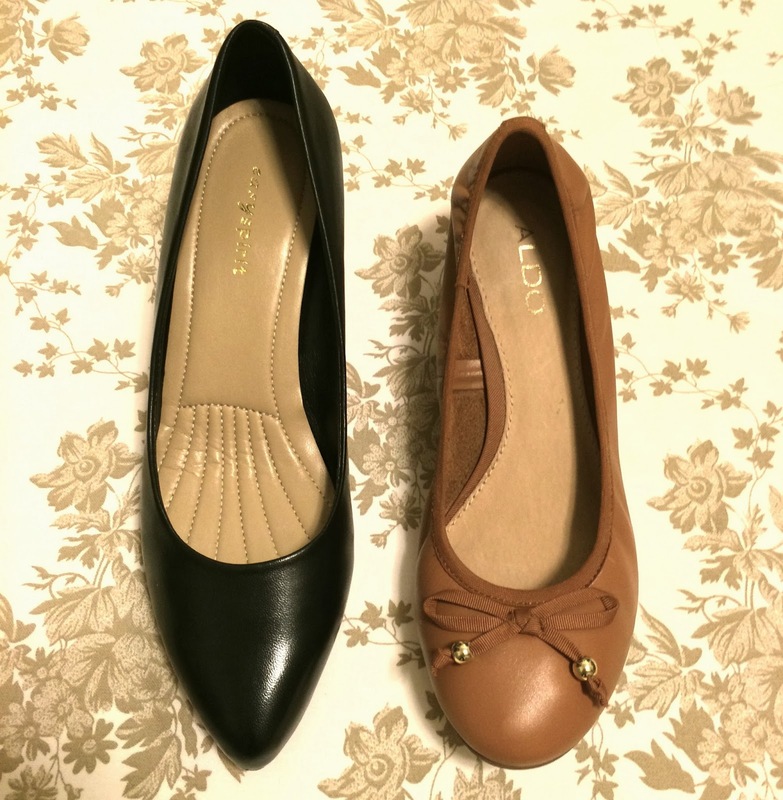 The brand "Easy Spirit" is known for their comfy soles, just like Geox and Naturalizer. A bit exaggerated but believe me, it was like walking on marshmallows. Both of them are wedges- just 1.5 inch high- but I hope I don't trip or fall. Hay. Yes, I promise no shoe shopping until these two pairs get worn out. My conscience wont stop bugging me though- "It's okay, they're on sale." "It's okay, this one's a 'need' not a want." "But wait, 2 pairs?" "Fine, the last time you bought an Aldo pair was in 2011." I'm glad Lent is "fast" approaching (pun intended). Time to stop all unnecessary spending (and chocolates are part of my fasting too!) and spend more time alone for spiritual renewal. I'm scrolling up and down my Twitter page and something caught my eye- an article titled "Balancing your income between your needs and wants." It's one of those things that is extremely difficult to do. I wonder how people do it. I mean, who would not want a new gadget or a new bag? I'll look no further to find the perfect example for this: myself. This particular bag has been on my lemming list for over two years now. Every time I enter that brand's boutique, I stare at the bag and just sigh. My friend would say, "Why don't you just buy it if it will make you happy?" But that's the thing. Will shelling out a huge amount of money for a bag make me happy? I can almost hear my mom's voice at the back of my head- loud and clear- "That's very impractical"- each time I try to hold that thing of beauty and reach for my credit card. "Being able to buy all your wants and suffering the consequences of those purchases isn't what success is all about. Those material things won't ever make you happy- not for too long, at least." And so two years have passed and I still have not bought the bag (I kept on repeating this line: I don't need another bag x 1000000). Although I'm afraid the sales girl from that boutique already find my face too familiar (haha, I don't care! ), I just take comfort of the fact that my annual bonus is now sitting happily somewhere. Clearly, the bag was just a "want" and that desire to have it will eventually die down. 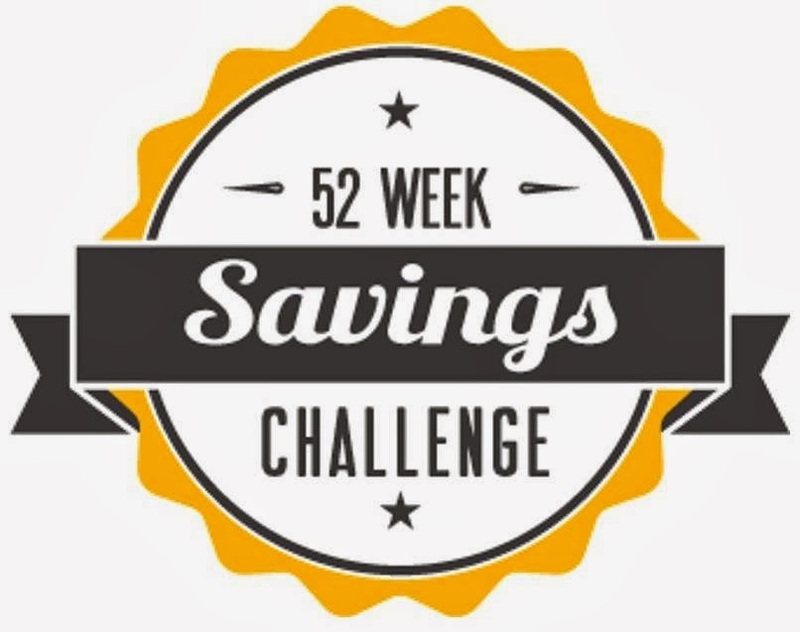 To help me keep track with my savings, I joined the 52-week Savings Challenge and recently signed up for COL Financial's Easy Investment Plan (EIP). The 52-week challenge is really a no-brainer, just follow the chart below and by the end of the year, you'll have extra cash to add to your savings account, or divide the amount so you'll be able to buy something nice for yourself (it will be your hooray-you-were-able-to-save-money-gift). Click here to know more. 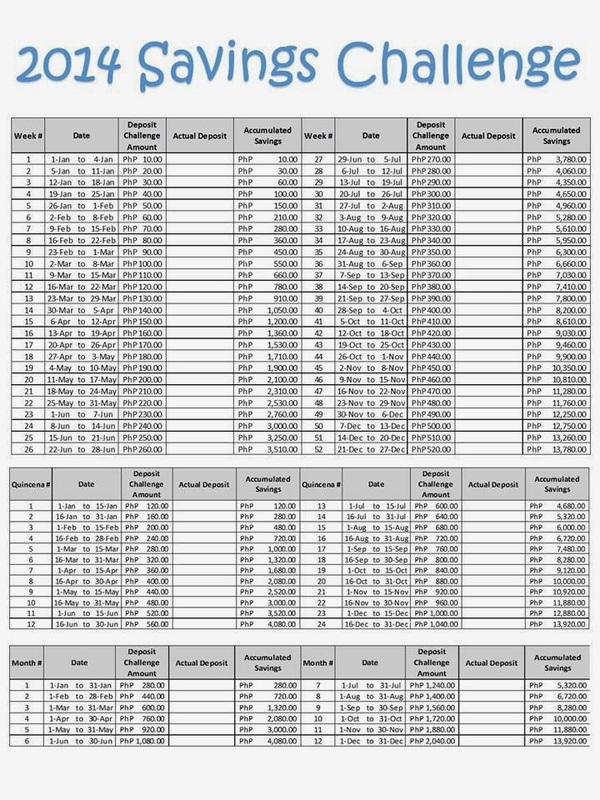 Click on the chart to enlarge and print. For COL, you may back-read on how I started, how I funded my account, and how I bought my first stocks. Last February 15, I was supposed to buy for my second month, but since the 15th fell on a weekend (and being the "atat" kind of person that I am), I bought shares manually. After three days, my COL homepage gave me this EIP Order advisory. I clicked on Skip because I've already bought my second month's shares. I think I better wait next time. After my second month on COL, I thought I should have done this long ago. 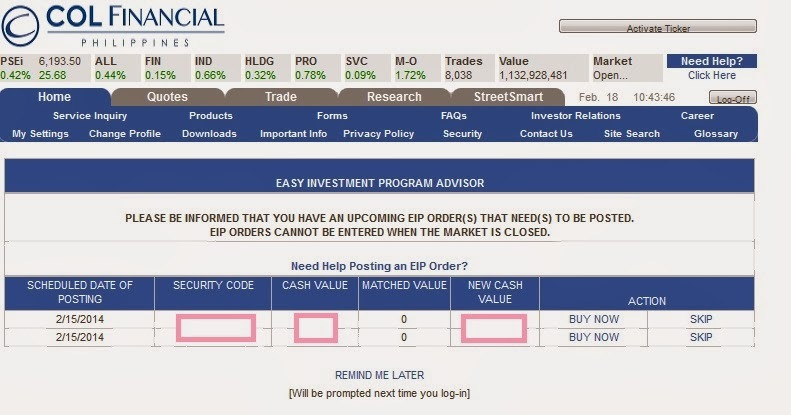 The Easy Investment Plan disciplines you to set aside a certain amount of money monthly and invest it for long-term. That way, you also spend less on your wants, because the money will have to go to your COL account or other investments or savings plan. If my Blogspot and I were in a relationship, I'm pretty sure Blogspot would be so furious and have already broken up with me. You see, I've been cheating on Blogspot for a couple of days now. I recently found a new love, his name is Tumblr. Although I have no followers there (yet haha), I love how the page looks so... ummm... immaculately clean. And so I turned to Tumblr for this #100HappyDays project. But I promise you, Blogspot, I'll make more time with you. I still have to write a post on my second COL purchase. So anyway. 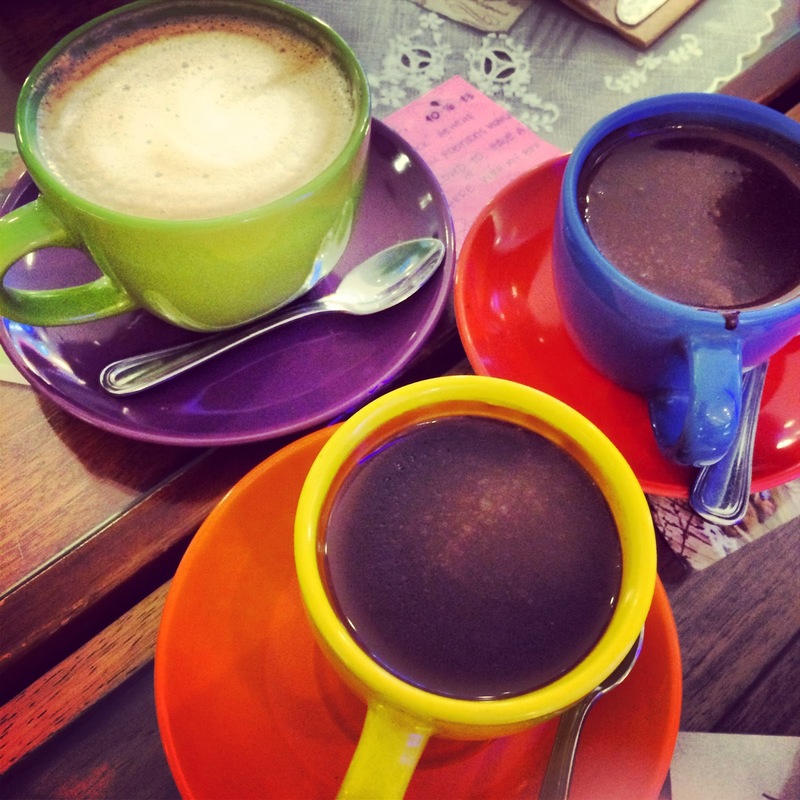 What is this #100HappyDays project that left Blogspot brokenhearted? 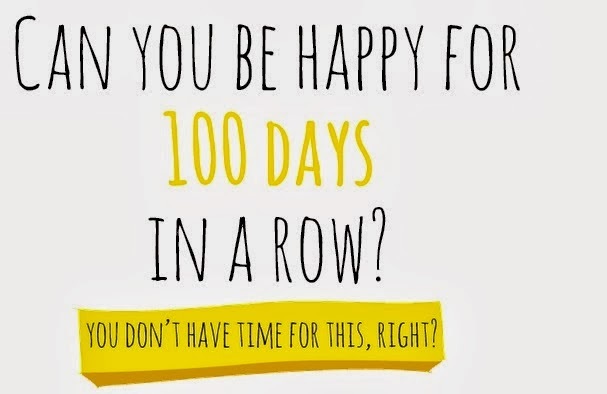 If you want a challenge to be happy for 100 days in a row, this is worth a try. First, you have to register at this website then choose which social media you'll be using for this project. You may share a photo of what made you happy during the day and share it via your social media of choice, with the hashtag #100happydays. Some of my friends have chosen Instagram, but I opted for Tumblr because I want it to have a journal-like feel- just so I have something to look (or read) back to. Let me know if you've started on this project too. You may want to follow me on Tumblr? Haha shameless plugging. Happy year of the Horse! Taiwan had a six-day holiday for the Chinese New Year. Stores and offices started closing by New Year's Eve- that's January 30, so Taipei's practically a ghost town until the fifth day of the New Year, when stores open to welcome the Money God. I spent the holidays in Manila and enjoyed every bit of quality time with the family and some of my closest friends. It was a short vacation- so short that I didn't even have time for diamond peel and the works (haircut and eyebrow threading were my top priority hehe), but I'm thankful that I was able to visit Our Lady of Manaoag in Pangasinan. I made a promise several years ago before even starting my life abroad that I will go back and visit Our Lady, and this time I didn't break my promise. It was such a beautiful feeling to utter silent words of gratitude for the life I've been living. I kept saying thank you, thank you and thank you then continued praying for the days to come, this time not for me, but for the people I love. I miss Manila, I miss our home, I miss everyone. Vacations, no matter how long, will never be enough to stop this longing I have. I love get togethers, the serious and not-so-serious conversations, catching up sessions with my best pals over cups of hot chocolate and plates of ensaymada, shopping with mom, cuddling her in our already cramped bed, chitchats with my brother, kulitan with my dad (although this time over the phone only)- those are the simple things I look forward to everytime I'm home. Till next time, Manila! Now back to work and filling up my planner with list of things to do. My EIP Scheduler is set for next week and I'm looking forward to that as well.